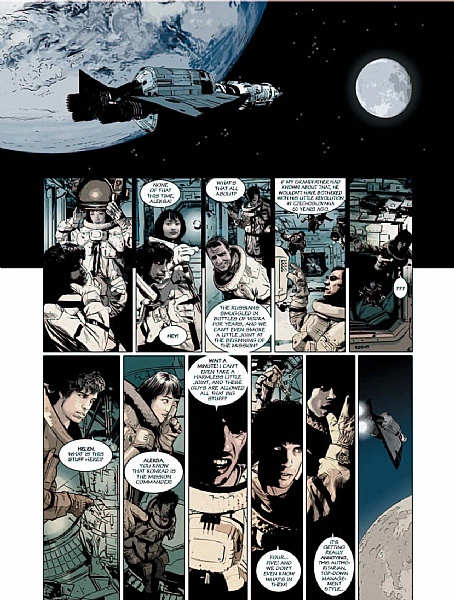 An interesting spin on what we know of space exploration, The Chimpanzee Complex Volume 1: Paradox is an engaging look at humanity and the desire to achieve. In 2035, the US Navy discovers a strange space capsule that has crashed in the Indian Ocean. 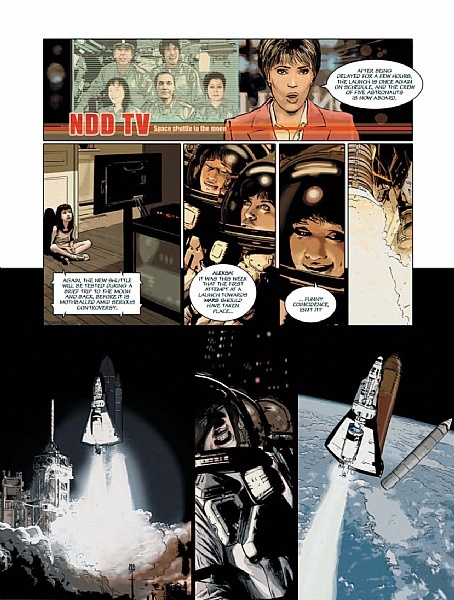 Helen Friedman is in charge of interrogating the two survivors, who are none other than Neil Armstrong and Buzz Aldrin! Who, then, are the men who came back from the 1969 Apollo XI mission? A lunar expedition is set up to elucidate this mystery. Friedman is involved in a case that will lead her much further than she ever expected as history is rewritten. 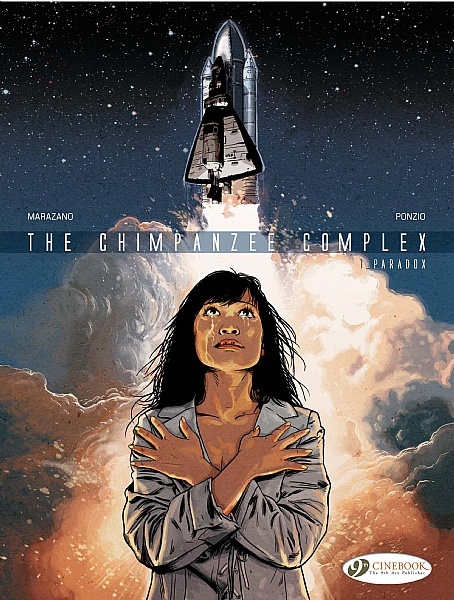 The first of three volumes, The Chimpanzee Complex Vol 1: Paradox sets the stage for a look at humanity and our ties to each other. Front and center is the mystery of why two astronauts from the past have reappeared, and what that really means about the lunar landings. Behind and around that is the story of Helen and her daughter Sofia, dealing with the rigors of life, family and to use a cliché the ties that bind. Marazano presents a nice twist on the U.S. lunar landings and sets about a mystery of what really happened. Helen is NASA’s top astronaut and has been training for a Mars mission that’s been canceled. After the 1969 astronaut’s appear she’s brought in by the nefarious military to see what can be learned from them. When things fall apart it’s decided to investigate what really happened. The mother daughter relationship is far more precarious than the space mission. Sofia is angry with her mother for being away so much and looks to other adults for some kind of parental experience. Yet Helen wants nothing more than to achieve her dream of going to the stars. It’s an interesting look at the career-family dynamic and what happens when balance is lost. The art style of Jean-Michel Ponzio appears heavily photo referenced and it’s captivating and slightly off-putting all at once. Great detail and use of textures and colour present captivating art. The facial expressions are quite defined but frequently come across as sinister or ghoulish, mostly in the smiles. I can’t decide if it’s intentional or not. Go at https://sleeklens.com/top-ten-laptops-for-photo-editing/ and check for yourself. Cinebook presents its usual packaging: softcover, slightly oversized, and $14 for 56 pages. It’s steep but available for a discount online. There’s a lot to enjoy here with the pull of emotion and mystery of what really happened. As a first volume there was enough pull to keep me interested in moving onto volume two.